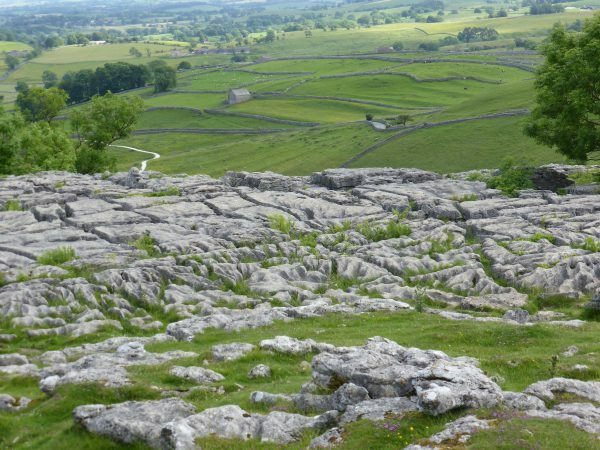 After two weeks in the Dales we decide to join the throngs of tourists and visit Malham Cove. 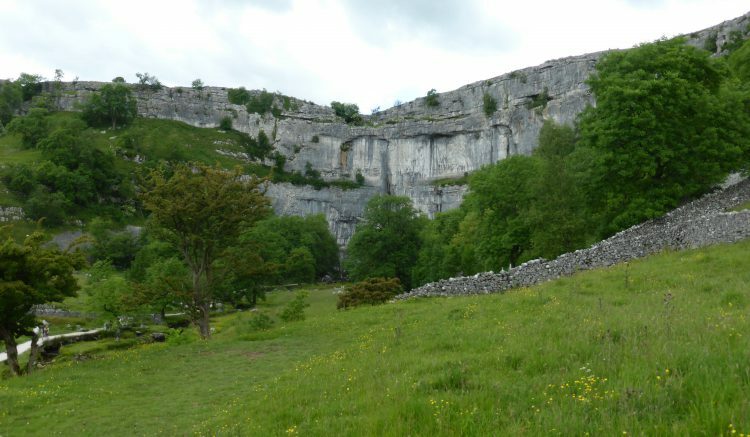 In part our trip to Malham is to do a walk that will take in Gordale Scar and Janet’s Foss. We recall going to Gordale Scar but cannot remember having previously visited Janet’s Foss. 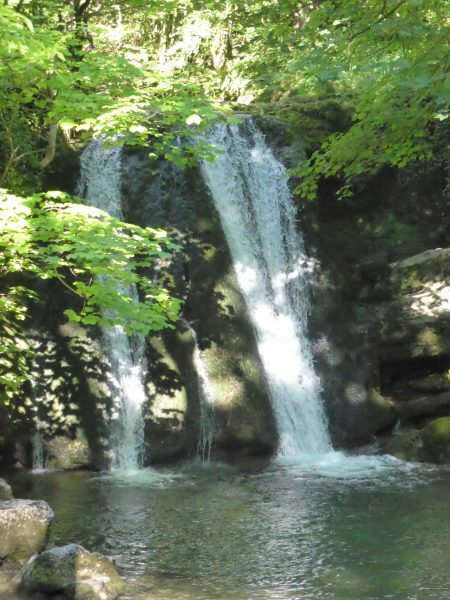 The previous evening Jane and Carl had recommended that on the way to Malham we a stop at Scaleber Force. 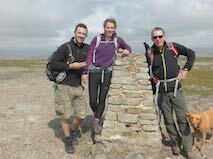 We drive out of Old Settle on the Malham Road and it is not long before we see the footpath sign to Scaleber Force. Parked up in a lay-by close to a bridge we climb the wall stile. The waterfall is only a few yards the other side of the wall. Incredible because we have been on this road a number of times and never knew this wonderful spot existed. There is a significant drop and steep sides, so cautiously I try to get a decent view, even from this vantage point it is impressive. Back in the car we drive over to Malham, a cracking drive for a Sunday afternoon. The roads are quiet. As we drive we get glimpses of Malham Cove. Arriving in Malham we realise why there are no cars on the roads, they are all parked here. The place is packed. We eventually find a spot to park and set off for our walk. Fortunately our old walking book takes us on the less favoured route to the Cove. We walk through the village past both pubs (that’s right, we walked by two pubs!) and turn left in front of the Youth Hostel. Our route takes us along a track and then into open fields before dropping down to the stream that flows from the Cove. Here we encounter a party from the RSPB with binoculars set at the cove. We are told there are six Peregrine Falcons, two adults and four young, in the Cove. Apparently they flew off earlier but are expected back later. Through a gate we bear right, following a couple with a Black Labrador, across a field of sheep and to a ladder style. The dog in front of us is sat at the top of the stile refusing to budge. The couple walks on, but he is not moving. Eventually his Dad comes back to collect him. 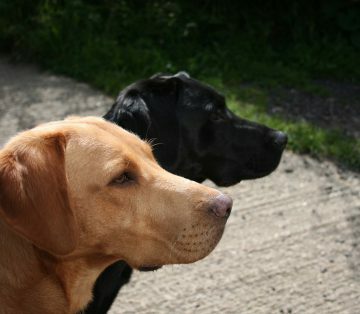 I mention that we have a dog that behaves the same at stiles. Lyn goes first then stile clear, Crosby is up and over. He looks around as if saying, “What’s all the fuss about”. We are now in the familiar position Lyn and Crosby on one side, Dexter and I on the other. At this point Crosby is contemplating coming back just to check that he is not missing out on a treat. I lift Dexter to the top of the stile, 26 kilos of hot panting dog. He sits on the top but will not jump. I have to clamber up and squeeze by him. The other couple are now finding this amusing. As usual in these circumstances Dexter and I end up in an embrace. As those who spend a few minutes in my company know I do love Dexter (and, of course, Crosby), but don’t feel the need to be so intimate every time there is an obstacle in our path. The way is now straightforward and well trodden down to Gordale Bridge. At the bridge we turn left and almost immediately go through a gate on our left leading to a farm campsite. Numerous tents and camper vans are in the fields. We follow the stream up to Gordale Scar. The last time we came here was with the children when they were young, probably over twenty years ago. That day Jane and her son Tom were with us, I have a recollection of walking through the waterfall. We then reach the rock face and watch someone go up the waterfall. It looks challenging, but I m sure we did it all those years ago. Not something that I would contemplate today. 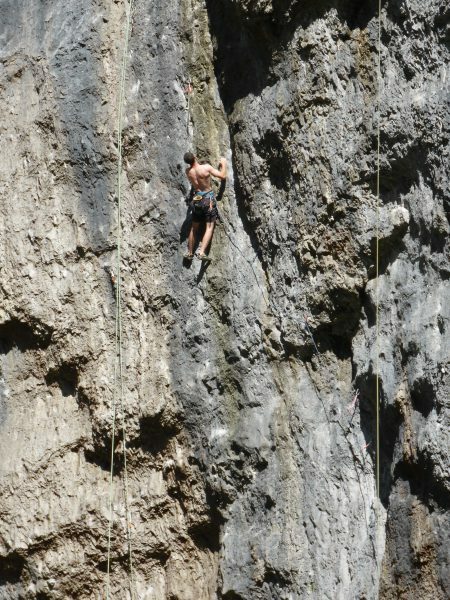 We stop to watch a climber scaling the sheer rock face. Not my idea of a hobby, but he probably thinks that those who spend an afternoon hitting a little white ball around the countryside are mad. Turning we retrace our steps to Gordale Bridge, briefly walk along the road and then take the path on the left to Janet’s Foss. As soon as we reach it I know that I have not been here before. It is stunning, a bit busy but still well worth the trip. 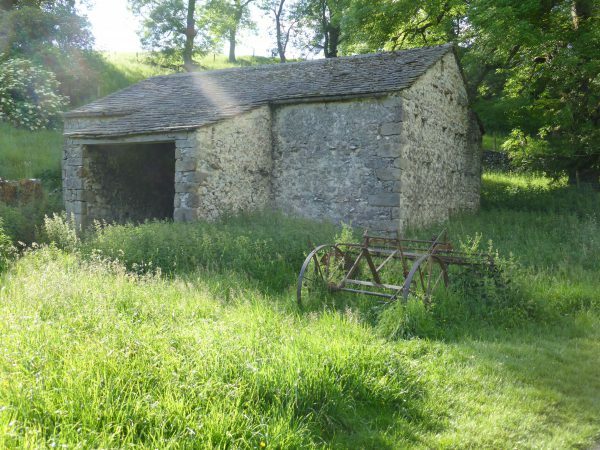 We continue along the side of the stream and then across meadows and wetlands on our route back to Malham. The route has numerous kissing gates, my kisser gets over worked. At the last field before Malham I hear a distinctive cry in the sky and look up to see the Peregrines high above. Another treat. I am enjoying the ornithological aspects of our travel. Todays walk has covered nearly six miles, a pleasant way to spend a Saturday afternoon. Back in Settle we meet up with Maurice, Jane, Julie and Carl to check on the distilling qualities of Gordon’s. We have to sample a few to check on the consistency at various levels of the bottle. Maurice does mix a particularly good gin and tonic.